In previous documents that I have wrote on Trotskyism I have argued that the International Committee from 1953-1974 represented the continuity of Trotskyism. I reject completely the thesis that the IC was a centrist organisation and I stand by my arguments in my previous document in a reply to the Revolutionary Communist International Trotskyist Organisation [RCIT]. . The final struggle that Trotsky launched in his final years inside the Socialist Workers Party [SWP] against the liquidationist and state capitalist positions of James Burnham and Max Shactman was carried forward by the IC from 1953-1974. Tim Wohlforth emerged as the leading comrade who in the period of the SWP’s reunification with the Pabloite Organisation United Secretariat of the Fourth International politically fought for the IC’s position and trained a cadre in the American Committee of the International Committee for the Fourth International. “Within the Socialist Workers Party a minority tendency led by Tim Wohlforth opposed the increasingly opportunist orientation of the SWP” . “The Wolhforth led minority worked within the SWP from 1963-1964. The pro ICFI minority issued a letter to the SWP membership demanding that the organisation permit a discussion of the roots of the LSSP’s ( the Ceylon Sri Lanka section of the Fourth International ) betrayal” . “All nine signatories (including Wohlforths) were suspended from membership” . Wohlforth broke with the Workers League; the successor organisation of the American Committee of the International Committee in August 1974 over his relationship with Nancy fields a fellow Workers league member who was related to an Ex CIA operative. Wohlforth and Field subsequently resigned from the Workers League succumbed to pabloite revisionism and joined the SWP. In spite of this Tim Wohlforth made a major contribution to the development of Trotskyism in the IC from 1963-1974. He prepared the comrades and trained a cadre both theoretically and politically in their battle to uphold Trotskyism against revisionism in the SWP. His role in this history has been denigrated by David North, National secretary of the Socialist Equality Party in the USA and Gerry Healy General Secretary of the WRP (British section of the IC). Healy died in 1989. North whose organisation has now become an ultra-left centrist sect refuses to recognise the importance of Wohlforth in this period. Healy always stated that it was him and the WRP who led the fight against pragmatism (empiricist philosophical tradition in the USA) which guided the SWP in its rehabilitation with Pabloite revisionism. In fact it was Wohlforth with his analysis on Cuba and his history of American Trotskyism written in the Fourth International a magazine of the IC in 1965 and 1966. Wohlforth brilliantly analyses the degeneration of the SWP leadership after Trotsky’s death. Wohlforh shows how the leadership who fought a principled fight in 1953 against Pabloite Revisionism were completely rehabilated in 1963. I am going to quote from Wohlforth’s articles to show how Wohlforth dissected the various problems inside the SWP after Trotsky’s death. His historical role is revealed as he dialectically probes this degeneration by using the Marxist method. Wohlforth identifies the major weakness in the SP leadership after Trotsky’s death. The first crisis that the SWP faced in 1944 was the Trial of the Minneapolis 18 under the Smith Act. . I would refer you to my previous article on the role of Grandizo Munis who crititised the SWP leadership over its handling of that Trial. . As Wohlforth states “The responsibility that fell upon the shoulders of the SWP was to turn this prosecution of the SWP into a political prosecution of the SWP into a political prosecution of capitalism. What the SWP did was to sidestep this kind of political offensive which would have meant a sharper head on confrontation with the capitalists”. .
Wohlforth continues to see the weakness of the SWP under Jim Cannon’s leadership (National Secretary of the SWP). “While it is clear that the party did not bow to the ruling class during the second World war and above all it acted simply as an American radical party and did not assume the leadership of the International movement thrust upon it by Trotsky’s death”. . “In June 1940 Trotsky warned the American Trotskyists of the dangers of adaption to the backward layers of the working class”. .
Wohlforth stresses above all the theoretical strength and weakness of Cannon prior to the 1953 split with Pabloite revisionism. It is only in a theoretical struggle for a Marxist method and an unremitting struggle against pragmatism, the ruling ideology of American capitalism. “The problem is one of method. Cannon’s confidence in the American working class was empirically derived and lacked the enrichment of a real understanding of the Marxist theory and method, thus while a favourable empirical development could bring out Cannon’s positive qualities he was hopeless in dealing with an unfavourable situation”. .
Cannon’s insistence of merely looking at surface impressions and not dialectically probing beneath the surface left Cannon completely unprepared for the fight that would develop internationally. Cannon continued to insist on American exceptionalism empirically without using the Marxist method to develop an understanding of the real class forces that were at work. Gerry Healy an ally of Cannon in the British section was also unprepared for a fight with Pablo and from 1947-1953 both Cannon and Healy were allies of Pablo. As Wohlforth states so succinctly “But the world of 1946 was not as Cannon pictured it.Cannon completely underestimated the tremendous significance of the betrayal of the post war revolutionary wave, by the Stalinists in particular. 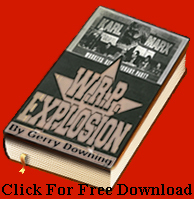 World capitalism was clearly once again stabilising itself with the help of the Kremlin and everywhere in the world the revolutionary wave was subsiding”. .
Cannon’s reliance on an empirical method led him and other leaders of the SWP to ignore the role of the Stalinists and the trade union bureaucracy. “Thus the party tended to minimise two important obstacles to its leadership of the masses -the communist party and the trade unions”. . This crisis reflected itself in the trade unions where the future Pabloites Cochran and Clarke were active. “The early war years brought a deep isolation to the party’s trade unionists who could not really function with either Rooselvetian (progressives) or the Stalinists. The trade unionists who entered the dark period of the 1950’s in pretty much the same shape they entered in the war period. They were not much different from the trade unionists Trotsky criticised in 1940. This was to become crystal clear when the next crisis shook the party” . This prognosis by Trotsky would be borne out by the SWP’s leadership’s refusal to have a sharp fight with a conservative layer inside the trade union caucus of the SWP. In 1944 a number of Afro-Americans joined the SP but the SWP were not able to hold them, their integration with a privileged layer of white workers in the SWP meant that the Afro-Americans were never to remain members long. In this period the SWP had unity discussions with Max Shactman’s Workers Party. Wohlforth correctly asks why the SWP leadership would be in unity discussions at all with Shachtman and co.
“Considering the depth of the struggle in 1940 it does appear strange that five years later the Shachtman group (Workers Party) and the SWP should be engaged in unity negotiations”. .
“Essentially then the WP in 1946 was an organisation which had developed systematically all its methodological errors of 1940 and further had failed to root itself in the class. Its development was clearly and profoundly to the right”. . This reliance on an empirical method by Cannon and others led to another right wing faction developing in the SWP. This was the Morrow/Goldman group who were moving closer to the WP. “During the war period there developed a small minority inside the SWP which began to move more and more in the direction of the WP. Politically the minority was led by Felix Morrow and interestingly enough Albert Goldman”. . “The evolution of the Goldman/Morrow group was another warning to the SWP leadership on the critical importance of understanding the Marxist method”. . other developments followed with a minority tendency emerging in the Workers Party. This was the Johnson-Forrest Tendency who then entered the SWP, but not on a principled political basis. It was empiricism at work again with no real probing of the differences that a Marxist method would establish. “There is an important general lesson to be gained from this whole series of almost farcical developments. Unifications empirically arrived at unless followed by a deepening of methological agreement cannot last”. . Internationally the SWP gave only token support to the Fourth International. “We have seen that the SWP gave no real leadership to the Fourth International during the war period, of course it saw itself as part of the Fourth International (Because of the reactionary Voorhis act the SWP was prevented from formally affiliating to the Fourth International), but did not see itself as the real leadership of the Fourth International”. . In the Fourth International there was to be no real basic formations until the open letter of 1953 which I have referred to in previous documents. “The British and French sections the largest in Europe were led by extremely unstable and politically unreliable petty bourgeoisie elements”. . In 1944 the Revolutionary Communist Party in Britain was led by Ted Grant and Jock Haston, Gerry Healy was in the minority and later leader of the WIL. I have listed the various political formations of Trotskyist groups in my Trotsky.com Doc and WIL.Doc, all online at http://www.socialistfight.com. .
For a period of time The Fourth International recognised two sections, The WIL and the RCP. . In France there was a large section led By Pierre Lambert Bleitreu Fabre and Mestre. Further information can be found at http://www.marxist.org/trotsky/organisations. .
“So in 1946 the SWP turned over the International Leadership to a group of talented individuals who had never had much experience in practical work in a healthy movement. The most prominent of these were Michael (Rapt is) Pablo and Ernest (Mandel) Germain.” . The SWP leadership had reacted empirically to its International work as it had done within the SP itself. It left everything to these new Intellectuals. “Precisely because the SWP leadership had not developed theoretically in the 1940’s it lost nearly 50% of its membership”. .
Wolhforth who had written an important work on structural assimilation with reference to Cuba and a definition of a Workers States. (See my earlier Documents online for a discussion of Wolhforth’s position). Wolhforth probes the development of Stalinism after the Second World War and the emergence of the Comecon countries or soviet bloc countries as they were referred to. “Thus Stalin began a highly contradictory social transformation of these countries from top down. This process raised the most difficult of theoretical challenges to the Trotskyist Movement “. .
Germain began to deal with this theoretical problem in the Fourth International. A dispute then developed of whether these states were capitalist states or workers states. “Germain continued to apply in a mechanical way the basic analysis which Trotsky had applied to Finland and Poland in 1939-1940 and thus insisted that these states were still capitalist states because they had not been formally incorporated into the USSR”. .
Pablo on the other hand insisted that they were all workers states. “Thus he foresaw centuries of Deformed Workers States created by Stalinist parties under the pressure of the masses. This left no role for the Fourth International, and he began to urge the Trotskyist movement to enter the Stalinist parties”. .
“Having abandoned a Marxist method in analysing the workers states Pablo had ended up with a thesis which meant the key liquidation of our movement”. .
Germain soon followed suit dropped his opposition to Pablo. “This weakness of Germain soon led to his capitulation to Pablo”. .
Wolhforth then asks how did the SWP respond and he gives a clear cut answer. “Needless to say it was not in any position to offer any independent theoretical solution to the dilemma”. .
“Cochran and Joseph Hansen (Future National Secretary of the SWP after Cannon’s death and known GPU agent). See Security and the Fourth International http://www.wsws.org . ) emerged on the political committee as supporters of Pablo’s whole line while Cannon, Stein and John G Wright tended to sympathise with Germain”. . Although Haston and Grant in the British RCP took a principled position over Yugoslavia, by 1947 they were no longer in the leadership being replaced by Gerry Healy. Haston would depart to pastures new rejecting Trotskyism and becoming a notorious Right wing trade union official in the EEPTU (now part of UNITE). Grant meanwhile would work as Pablo’s agent in Britain, but when Pablo dispensed with his services Grant would reject the Fourth International. Grant Died in 2006 and his successors, Wood and Sewell have a centrist International organisation called the International Marxist Tendency. Healy as I have argued before would be an ally with Cannon and the SWP. Both Cannon and Healy would work with Pablo and Germain from 1947-1953. When a lead could have been given by Cannon and Healy there was confusion, compromise and opportunism. They were both unable to detect the role of Pablo’s agents working to disrupt their respective organisations until the result of the 1951 World Congress had been concluded. I will clarify these issues in Part 2. “ Rather what comes out is a picture of a National Leadership almost totally confused in its theoretical development and thus paralysed in coming out with a clear cut political position. The majority of the SWP National committee came down firmly in support of both sides”. .
Wohlforth’s real contribution to the Trotskyist movement is revealed in his closing contribution. “However when the Party faced a real revisionist trend it was prostrated before it.It was incapable of countering it.Pablo as much as Burnham and Shachtman had abandoned the very method of Marxism”. . In Part two I will discuss how Pablo’s agents (Cochran and Clarke in the USA and Lawrence in Britain) set out to destroy the Trotskyist movement. 1) Humphries. L A reply to the RCIT ‘How the Epigones destroyed the Fourth International http://www.socialistfight.com . 24) Fourth International Magazine Vol 3 No 2 April 1966. « The left’s foolish illusions in Benghazi’s rebels By Gerry Downing – This one has stood the test of time!